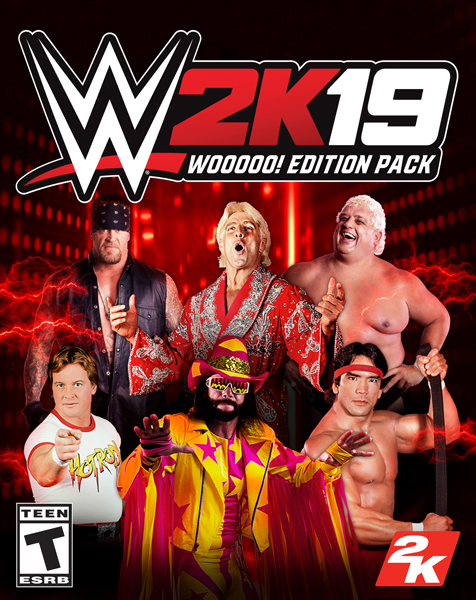 Walk that aisle in style and profile with the WWE 2K19 Wooooo! Edition Pack! Featuring downloadable arenas, attires and Superstars such as Dusty Rhodes, Rowdy Roddy Piper, Randy Savage, and more! WWE 2K19 Wooooo! Edition Pack! requires base game WWE 2K19 to play. WWE 2K19 Wooooo! Edition Pack! is included in the Digital Deluxe Edition.